When you are dealing with abstracts and paper money, speculation is the name of the game. 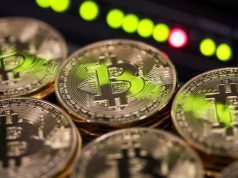 And cryptocurrency—referring to the virtual currency like Bitcoin or Litecoin that is secured by cryptography—is no exception. Before discussing how buying and selling walls can impact how much you can make from the market, there’s a need to revisit how this alternative currency came into existence. If you are going to trade in cryptocurrency, you will come across the name Satoshi Nakamoto. He’s achieved cult status since inventing Bitcoin (BTC) back in 2009. The mythology surrounding his identity only grew over time, mainly because he has remained elusive up to now. So many hackers have attempted to uncover his identity to no avail. Even now, speculations about Satoshi Nakamoto suggest that the name is not of an individual but of a group. Nobody can even confirm that he’s from Japan in the first place, although it was readily assumed because of the name. Nevertheless, he just dropped from circulation in 2010 but not after putting his stamp on how hackers and those in the Dark Web, should put value on their work. As of June 2017, there are more than 16.3 million Bitcoins in the market today out of the expected 21 million that are theoretically in existence. A single BTC is worth a little less than $300 right now, so there’s real value in the concept, even if it’s hard to fathom outside of the digital sphere. 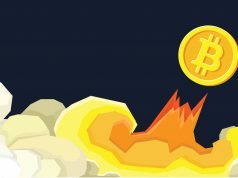 It is said that Nakamoto, assuming that he’s still following his portfolio, would have been richer by $700 million as of 2014 as a result of the invention. What makes the Bitcoin and other digital currencies very attractive is the anonymity they provide. Hackers-for-hire asks for BTC as the only method of payment. The transaction is direct—between the buyer and the seller—and almost totally untraceable. The only form of currency in the Dark Web (don’t Google it if you still want to sleep soundly at night), for instance, is the Bitcoin. Even businessmen engaged in tax evasion or money laundering activities also prefer the digital currency to “wash” the illegal source of their income. One advantage of dealing with cryptocurrency is the easy way to facilitate the transfer of payment. Another is that the channels used in transferring money only collect a minimal fee, which is below what traditional banks charge. This means that they can trade in bulk. The drawback, however, is its vulnerability. The fact that it exists in the digital plain, with no central repository, exposes it to computer crashes. If there are no backup files, there goes your record. There have also been several incidents of hackers managing to steal Bitcoins over the years. 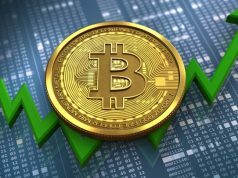 The fluctuation in the trading market tends to swing both ways extremely because of the rule of supply and demand that impacts more on cryptocurrency stocks exchange compared to the traditional bourse. These fluctuations are the very essence of the concept of buy and sell walls. The buy wall refers to the sizeable bid created either by one person who has the means to do so or by a group of individuals (they can be strangers or representing a certain interest). A person with a deep pocket is referred to as a “whale.” When a buy wall happens, it will create a deluge of demand for the digital currency which will increase its value. The increase in the value of the BTC is directly proportional to how large the buy wall is. The wall, in this case, acts as a safety net. For instance, to arrest the possible dump of the buy sell, the trader can take out a few bulk orders just to prevent a panic selling. A sell wall, meanwhile, works exactly the opposite as the buy wall. When massive movement in the sell wall is detected, it can result to people dumping their currencies. When that happens, the whole market slows down or event stunts. In both instances, you can also engage in futures where you speculate as to how the market will go in a particular time by studying the trends and historical data. As in most futures, the risks are great, but the returns are also quite substantial which is why trading futures is an appealing proposition for some people because of the gamble involved. The main objective of the whole cryptocurrency trading is to buy low and sell high, but there’s a lot of gray in between. The industry allows the practice of speeding up the growth of your shares by holding or buying. The industry term for this is longing. Unfortunately, those with money to burn can easily influence the market for their own benefit. When you start the transaction, you buy from the order book at a set price dictated by the prevailing market value (but this could be a speculated price as well like in the futures). You express how many units you want to take out. Now, somebody with the wherewithal can dictate the price of the buy wall by placing a large order, say at a prevailing price of $20, on the number of units. The uptick is bound to get the attention of traders who will also jump on the bandwagon to buy a large number of units of the currency. This will fortify the wall, and that can work for or against you depending on where you are investing. 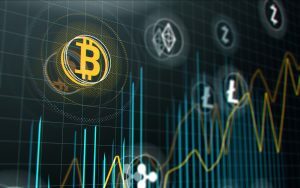 Unfortunately, market manipulation in the cryptocurrency is not so shady a term when compared to the traditional stock market. Deliberately playing with the system in the stock exchange can get you a hefty fine or, worse, jail time. In the digital world, not so much. If there are a lot of whales who are willing to gamble, then you are in for a huge trouble if you don’t know what you are doing. To be fair, if you are playing the long game, you just might be able to walk away unscathed or with a little extra on your pocket. In effect, whales are playing a psychological warfare on most cryptocurrency traders. There’s a reason why it’s termed the wall, and that’s because it provides a mental barrier that’s quite hard to overcome. Somebody who doesn’t understand what it is exactly won’t likely survive very long. When whales smell the blood on the water, they then circle in for the kill. For instance, a whale will consign a lot of Bitcoins to be sold on the market at $20 as he takes the risk, rightly in this case, that they won’t all be purchased by a single buyer of a group of individuals. Because of the presence of the wall, traders will have to sell lower if they want to make money in the short term. As an added bonus, that will also block the price of the share. With this, a shrewd investor with a lot of money can accumulate a large number of coins without suffering loss from the price reduction. The goal here is to accumulate more Bitcoins, not to profit from revenues. If there’s not enough trading, then that’s when the whales can really do some damage to the small fishes (that means you) in the sea. There’s no oversight on Bitcoin trading so you really can’t go anywhere if you feel you have been a victim of the market pump and dump. Pumping is not even an elaborate scam as the method is fairly known. Basically, it’s somebody who artificially increases the price of the Altcoin by creating a buzz when they are ready to dump it. When the desired value is reached, he or she then dumps all the coins, which creates a ripple effect in the market. You have to understand that if you are an individual trader, you are at the bottom of the totem pole. At the top of the heap are the whales, followed by the financial institutions and investment funds, then there are the smaller funds, and then there’s you. Worst of all, you are going to be fried in your own fat while whales laugh all the way to the bank. The whaler will buy (on the down low so nobody will notice) large units of currencies over time. They then go to Reddit, chat forums, community billboards, and known cryptocurrency trading sites to share their “insider tip” about the Bitcoin blowing up very soon. You invest, and suddenly you see the share value rise—which is what happens due to the number of people buying in—and before you can cash in, the whaler dumps his share. After watching how fast your shares nosedive, there’s no other way to do but sell at a loss. Spot the Dead Coins – There used to be a time when Bitcoin was the end-all currency for anything digital. But technology has caught up, and now there are other currencies like Ethereum, Litecoin, Stellar Lumens, Burst, Steem, Monero, Dogecoin, etc. You have to be wary if a particular currency suddenly generates a buzz when it has not moved for one or two years. You might be a victim of a pump and dump. However, there’s the “zombie coins”, which literally means they were already dead but suddenly came back to life after generating interest. A Bull Run? Let’s Get a Slice of the Pie, Or Not? – Be wary of a sudden spike in the share value. A bull run is defined as a period in the bourse when the shares are starting to rise. This is not to say you don’t trade, but you don’t jump on the bandwagon either. Never, ever buy unless you know the reason why the share value is going up. Got Insider Tip? Verify – You loiter in the forum and suddenly somebody messages you about getting an insider tip. Listen but don’t commit. Why would you trust a stranger hiding behind an online nickname called “Insider-tipper?” The next step is to visit online chat forums and listen to chatter. Maybe Insider-tipper just might have given you a gift out of the goodness of his heart. But probably not. Study the Market Trend – Charts and graphs are your friends. They are essential, along with chat forums, in spotting artificial upticks or when somebody is pump-priming the coins for the eventual dump. The movement is almost negligible, and it takes the experience to spot them, but once you learn this skill, you can cut your losses to a minimum in case of a pump and dump. Timing Is Everything – Not all pumps and dumps are going to be bad for you, but think of it as a small cog in the machine. If you can spot the pump early enough, you can make a nice profit. Even if you think that you are being “pumped,” you can still sell at the right moment and still break even or even earn a small profit. The key to succeeding in cryptocurrency trading is to be level-headed. It takes a lot of balls not to go panic selling at the slightest movement of the market. It also takes a lot of perspicacity not to listen to people offering to give you an insider tip for a small fee. It’s actually a scam where you are told that a particular currency is being primed for pumping, but these manipulators actually hold back from doing so after already earned some money from the “small fee.” If they can manage to convince three or five people, they would already have earned thousands. But don’t let the pump and dump scare you from trading in cryptocurrency. While it’s a clear attempt to game the system, you can actually make it work to your advantage with enough knowledge and skills. Previous articleCrypto Market Wrap: The Tedium Continues, When Can We Expect a Breakout?